When Gail Goolsby approached SJC Marketing, everything was brand new. Not her experience, but her business. 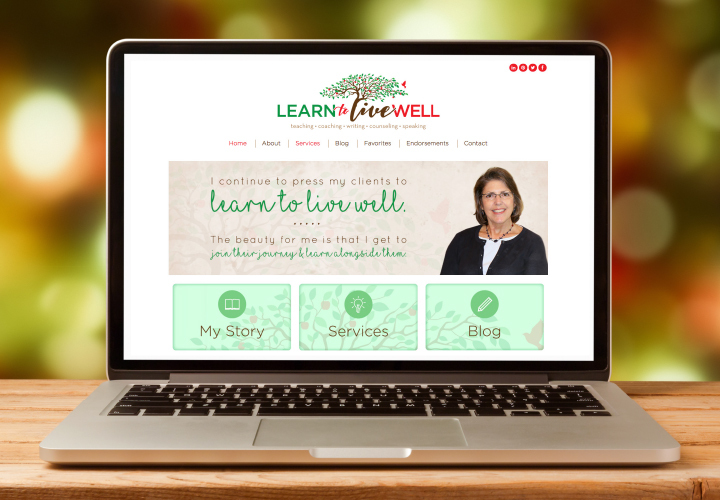 After spending years overseas as a principal of an international school, Gail decided to take all of her life experiences and turn them into a business – Learn to Live Well. She needed some help with a brand strategy and a website and SJC was eager to come aboard. Her work as a life coach, counselor, speaker and writer is so influential, and we were proud to give her a platform to educate readers of her blog and potential clients as well as bring life to a dream that is so inspiring. 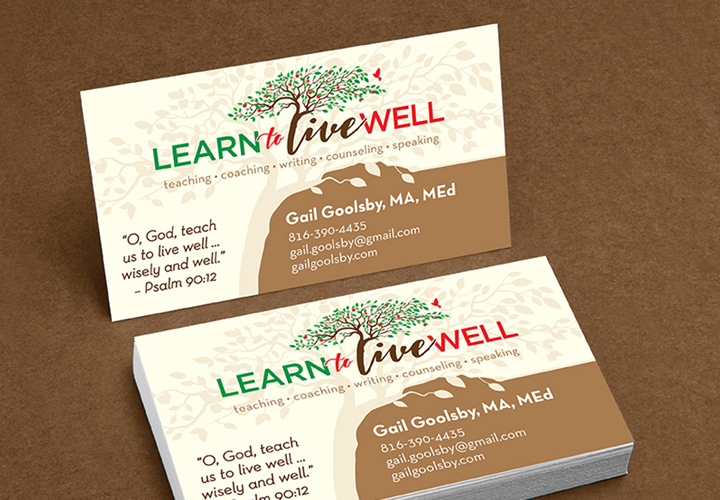 She helped provide the vision of life from a tree and our designer’s creative genius helped produce a beautiful logo and website.